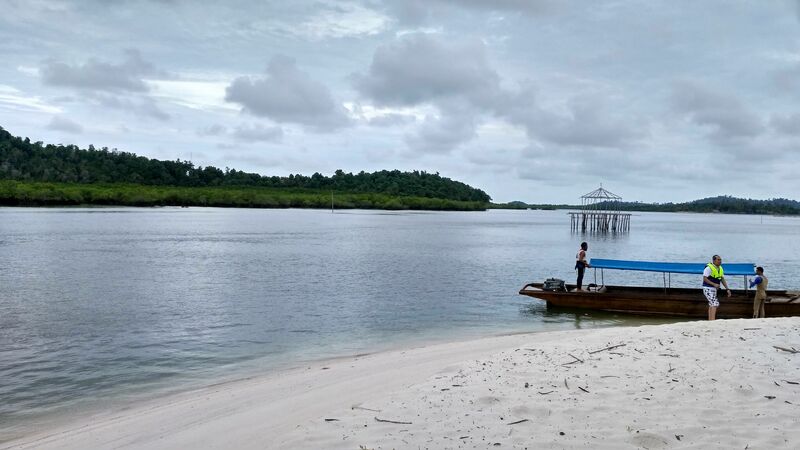 Pulau rano, Rano island in English, is one of island in Batam Islands. It is same as Abang Island. Before went to Abang Island, we stop at this island to learn about snorkeling activity. After we are lunch at Dedap island. We continued to snorkel on sea of Rano island. Rano island is a private island. When I was there, it did not develop yet. 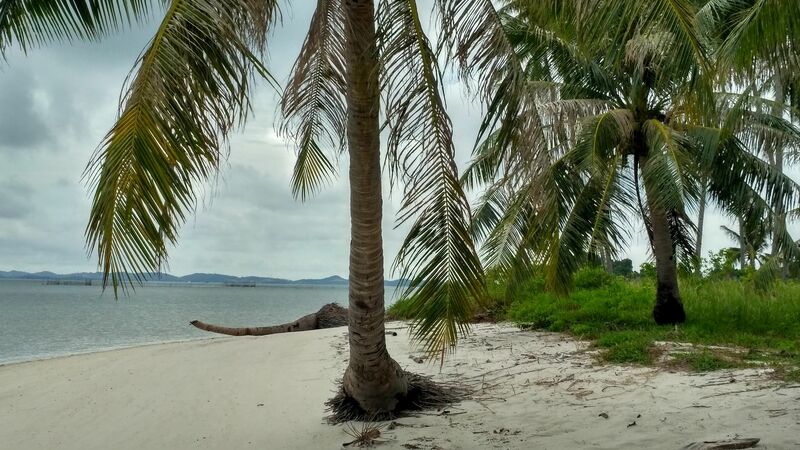 But now, I see Rano island has been opened for tourists as the island is already developd. The island looks gorgeous, attracts tourist attention, and very different with previous. But I like Rano island as Rano island with its natural view. What did we find into the sea? Wow amazing! 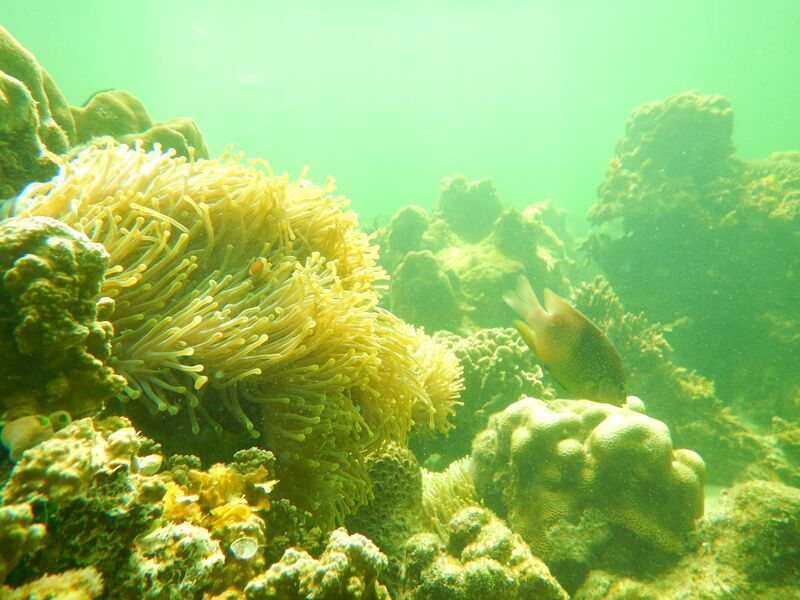 Nice view of underwater scenery, there are a lot of type of coral reef fish, a few type of fish that have many color, crabs, small and medium shape of sea urchins. Some people found nemo and they were looks very happy. On this sea, the water flows were bumpy but did not made us washed away the sea. It is 5 until 10 meters but we felt safe than before. After we have been finished snorkeling, we went back to Rano island and drank coconut water. 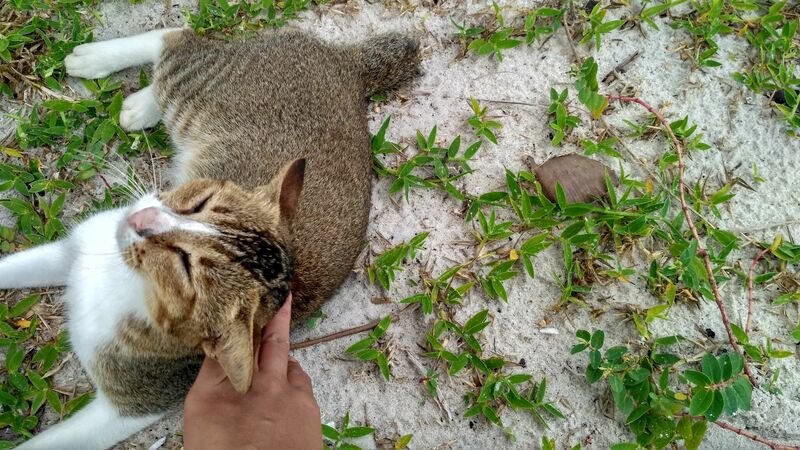 There is a cat on this island. It is looked alone, thin, and need food and also attention from people. The cat ate coconut and rest of visitor’s food. That is pity. But now, I miss the cat, where is the cat today? 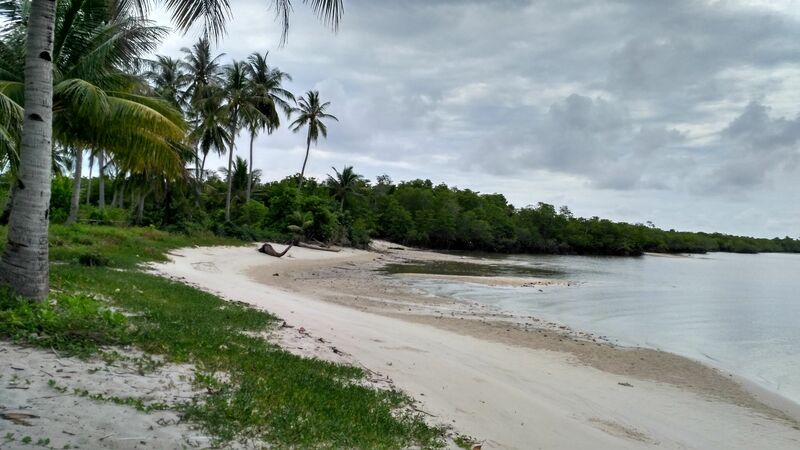 This island looks nice with coconuts tree and green trees, white sand, and natural scenery. When we visit this island we will feel happy, so keep it natural.